The HTN Auxiliary Inverter family can be used universally. 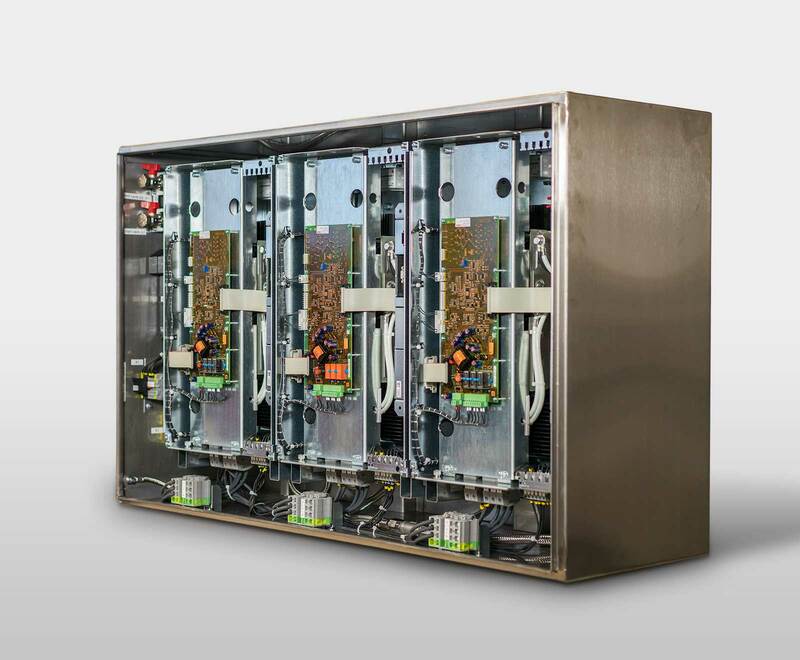 These compact IGBT power inverters are designed for contact wire voltages up to 750V DC. The units can be used to provide out-of-balance capable three-phase on board supply systems as well as speed controlled operation of compressors, ventilators or other auxiliary devices. The DC/DC operating mode with subordinate current control enables the creation of traction battery chargers that allow for the charging characteristic parameters to be freely set. All units are available ready for connection with integrated main contactor, pre-charging circuit and output chokes. They are available with air or water cooling. 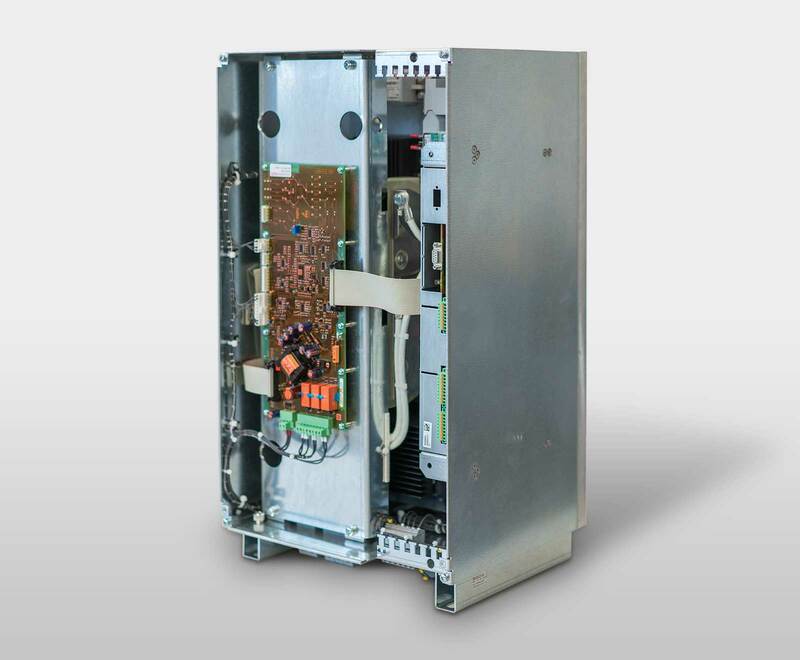 The standard unit is finished in IP20 and designed for mounting in a cabinet. Customer specific solutions in IP54 or IP65 are also available.